As the internet of things starts to generate data from far-flung sensors and automate remote equipment, it doesn’t always make sense to house all the intelligence for these systems in data centers. The alternative is edge computing, where smaller systems located on site in factories or other facilities can make sense of IoT data and act on it. Edge computing components like gateways can shorten response times or just filter out sensor readings that don’t matter so they won’t burden the network. But how to build edge computing systems and write their software, like so much else in IoT, is still a work in progress. The constraints on things like size and power are unique to this new field. 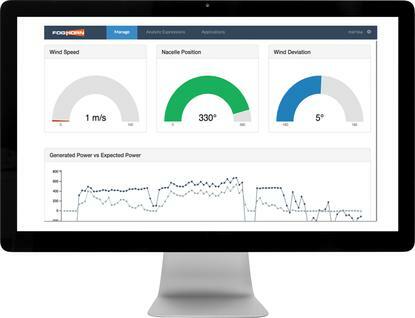 On Tuesday, Silicon Valley startup FogHorn Systems introduced the Lightning software platform, which is designed to bring real-time analytics and machine learning down to edge devices, including IoT gateways and even very low-powered processing components built into industrial products. Lightning has been used in proof-of-concept implementations in things like pumps, wind turbines, buses and locomotives. The technology will also be part of an analytics component of General Electric’s Predix industrial IoT platform coming later this year, FogHorn CEO David King said. Industrial IoT lets companies monitor any number of things in their infrastructure and act on what they detect. For example, an IoT system can automatically shut down a broken pipeline or tell a service team to replace a part that’s about to wear out. But in many cases this requires analysis, which can happen in a central location or at the edge, or in both places. Where to perform analytics is just one of many questions that enterprises are trying to answer as they explore industrial IoT, IDC analyst Michael Palma said. It’s there alongside questions like how many sensors to put on a device, how often to take readings and how much to let a piece of equipment manage itself. Some of the biggest names in IT are going after edge computing with either hardware or software. Cisco Systems has made a big bet on this area with its “fog computing” portfolio, and earlier this year it announced a partnership with IBM to bring some of IBM’s Watson analytics capability into its edge computing systems. FogHorn says it’s the only company that can bring cloud-like analytics down to not just IoT gateways but hard-wired controllers embedded deep in equipment like locomotives. Some of these controllers run on proprietary operating systems that are 50 years old, King said. Lightning comes in two forms. The standard edition is a Linux application that runs in a Docker container on x86-based computers. FogHorn is a certified Dell IoT solution partner, and Lightning has also been validated on HPE Edgeline IoT Gateways. There’s a software development kit for writing applications that take advantage of FogHorn’s standard edition. Lightning Micro Edition is designed for the hard-wired, proprietary computing components. It’s native C++ and requires just 256MB of memory. Lightning can run in the cloud as well as in edge devices. This is an especially useful feature because it can help make data ready for the kinds of analysis that need to take place in the cloud, said Machina Research analyst Aapo Markkanen. As useful as edge analytics can be, cloud computing is necessary for getting the “big picture” from selected information gathered over long periods from many sites, Markkanen said.